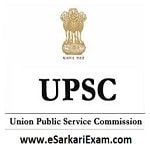 Eligible Candidates can Download UPSC CDS II Exam 2017 Score/Result at the Official Website of UPSC. Click and Open on CDA 2017 Public Disclosure of Scores Link at Home Page. Check Scores/Result by Using Roll No. & Name.